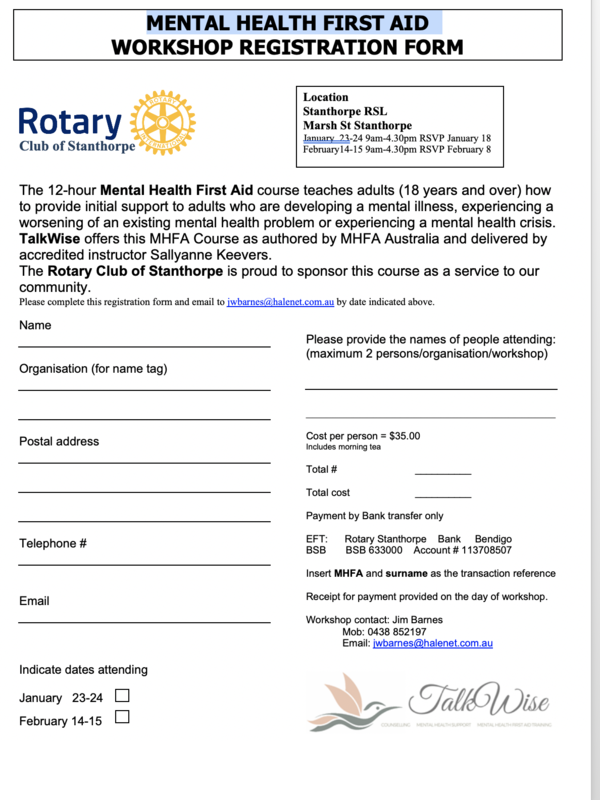 Go to our web page www.stanthorperotary.org then at the top right your will see "members" on two lines. If you just want to look and see what is posted there you don't even need to login but to actually read the contents of these documents you will need your login(your email address) and password(if you don't know this Tony may be able tho help you but I can't) When you point to "members" you will be shown 3 options-Club Documents, Board Minutes, & Club Assemblies. Move your pointer to the (in this case) Club Assemblies and it will show you what has been posted at this point in time. The minutes of the AGM in Dec 2018 are there as I write but not the Assembly from last Monday night, as Melissa has been busy all week getting back into school mode- But I'm sure they will get posted soon. There you go lesson 1 completed- not so bad! 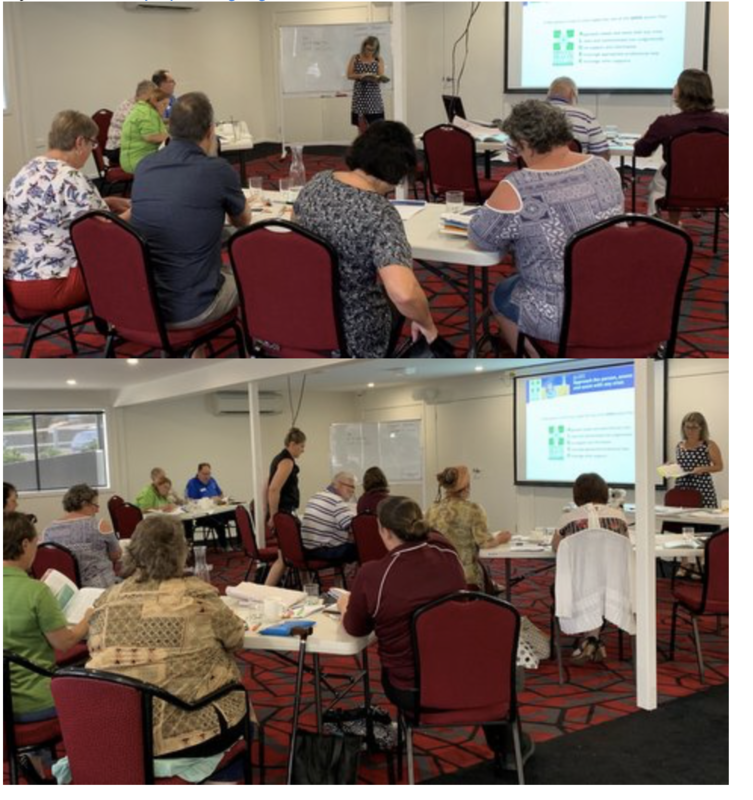 Jim Barnes has sent in a couple of pictures taken at the first Mental Health First Aid workshop which by all accounts went very well. 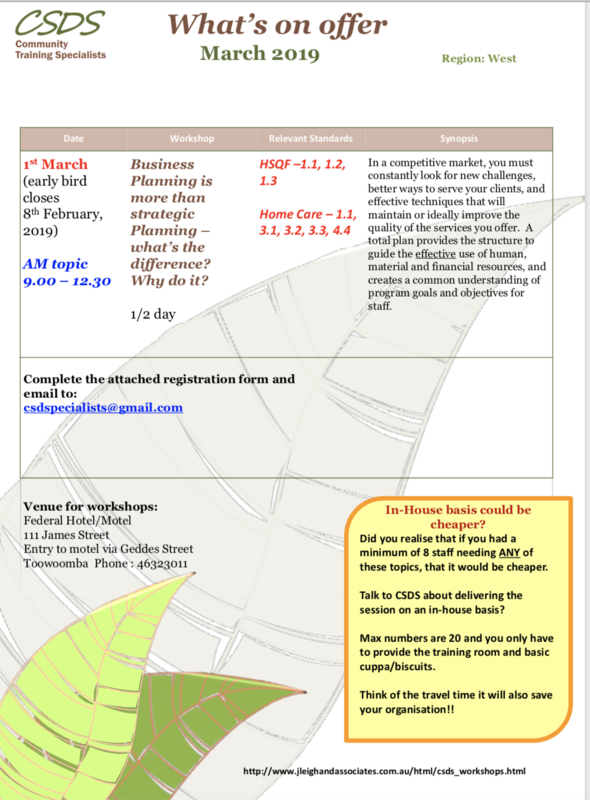 If you are interested in attending the second workshop as detailed below contact Jim. 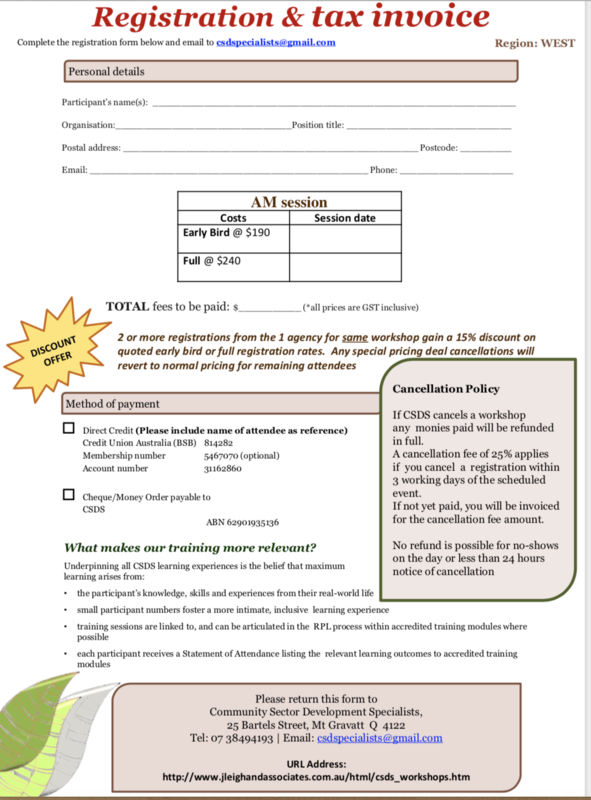 Tony has also sent in some info re CSDS workshop in Toowoomba. 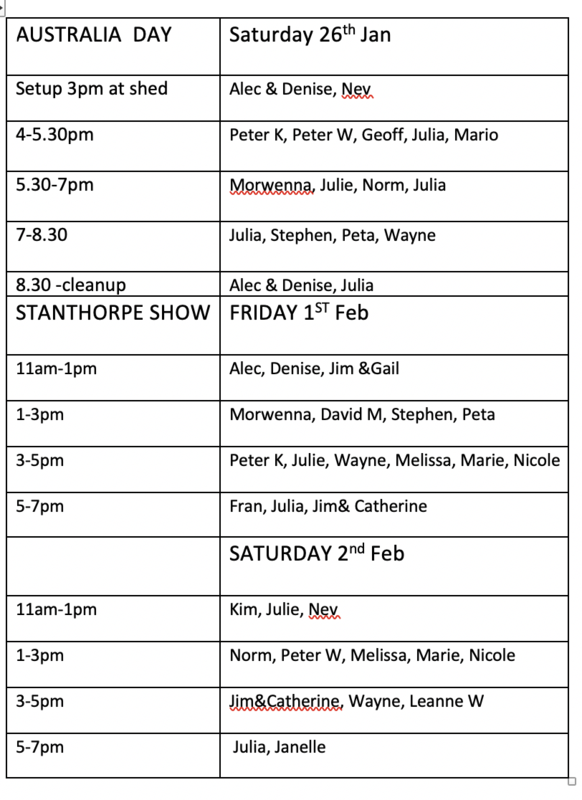 Please find below the updated rosters for both the Australia Day Catering and The Stanthorpe Show Catering. 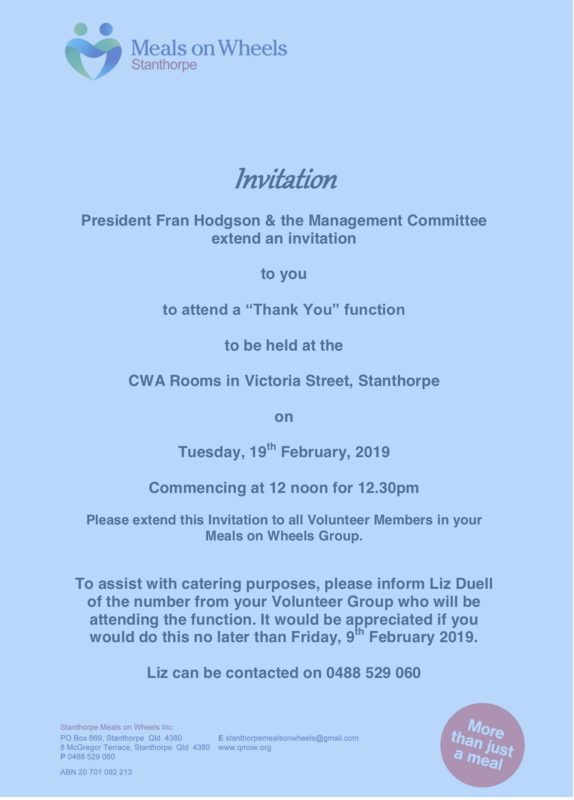 Due to these two activities which require member assistance there will be no Monday meetings on either of the next two Mondays 28th Jan and 4th Feb. Next meeting 11th Feb. Participants at the first Mental Health First Aid workshop hard at work over two days this week. Weekly giggle....... How do you make a jacket last?.....Make the trousers first!